The new owner of a company caught up in the pesticide pot recall is trying to win back customer confidence. The founder and CEO of Canopy Growth has apologized to customers over a medical marijuana recall that forced Health Canada to introduce spot checks for banned pesticides at licensed production facilities. The apology is aimed at customers who bought medical marijuana from the Toronto-based company Mettrum. Canopy Growth took over Mettrum on Feb. 1. In an email sent Thursday to Mettrum customers, Bruce Linton said new quality assurance practices are now in place. "I'm sorry you had to go through this. And I will do my best to ensure it doesn't happen again," he wrote in the email seen by CBC News. The voluntary recall over pot tainted with pesticides at Mettrum — the second-largest licensed medical marijuana producer in Canada — affected 21,000 customers across the country. A month ago, Mettrum recalled all of its products produced between Jan. 1, 2016, and March 21, 2016, after small amounts of myclobutanil were discovered. Myclobutanil is a fungicide approved for use on food crops, but it's banned for marijuana and tobacco. When heated, myclobutanil converts to hydrogen cyanide. Linton's email said the myclobutanil amounts were "trace amounts" and prompted a type three recall. Health Canada defines that as a situation in which using a product is not likely to cause any adverse health consequences. According to Health Canada, hydrogen cyanide exposure can cause headaches, dizziness, nausea and vomiting. Larger concentrations may cause gasping, irregular heartbeats, seizures, fainting and even death. In November 2016, Mettrum also pulled some cannabis products when pyrethrin, another unapproved pest-control product, was detected. In December, Mettrum expanded its recall and withdrew a small number of additional marijuana products. A Mettrum news release stated the recall was the result of further testing, but didn't specify what was found. Health Canada said it was myclobutanil. 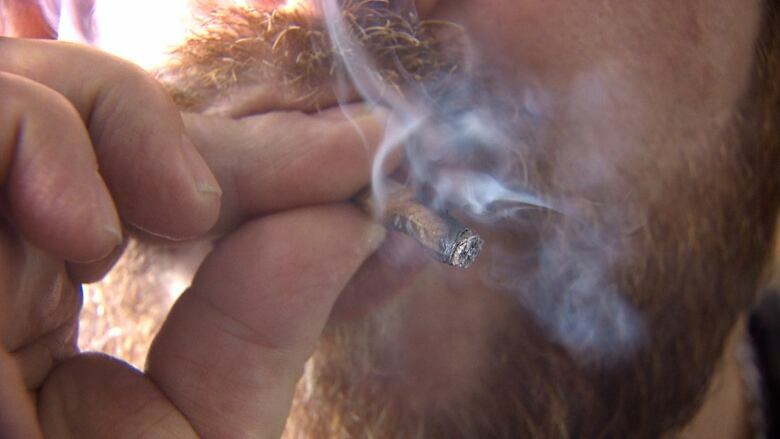 A Halifax law firm is exploring a class-action lawsuit against Mettrum and OrganiGram, the other company caught up in the recalls affecting one in five medical marijuana patients. Several medical marijuana patients of OrganiGram have contacted CBC News saying they've become ill after smoking medical marijuana tainted with pesticides. The health claims, range from heart palpitations and decreased lung capacity to nausea and vomiting. Their health conditions have not been positively linked to pesticide exposure. Linton's email said new quality-assurance practices are now in place at Mettrum and that "product reliability and open communication are the hallmarks of our business." In an accompanying blog post to customers, Canopy said that as far back as October 2014, a worker at Mettrum raised concerns with management that myclobutanil was being applied to the marijuana plants. "We are told [an investigation] yielded no proof of wrongdoing," the company writes in the post. The blog also said staff have been dismissed, but that the changes were a "normal part of the process to begin renewal" as Canopy took over. The company acknowledged that "trust in Mettrum products may have been challenged." The company blog also said that going forward it would be testing for 68 pesticides, including myclobutanil, before releasing any product.